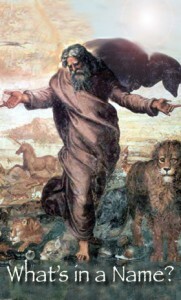 What is the meaning of this assignment given to Adam, the naming of all living creatures of earth and sky? To name ‘every living thing’ was the sign of Adam receiving the purpose, accepting the responsibility, and taking up the dominion that God had given him. #5 Adam is Named #4 A Serious Matter #3 The Naming of Creation #2 Without a Name #1 What is in a Name?